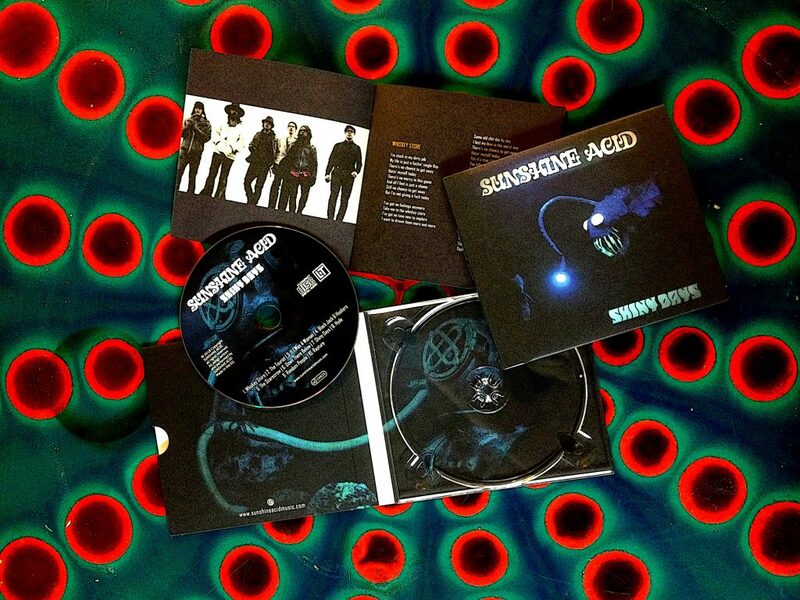 our Album SHINY DAYS has arrived today on CD! We’ve put a huge amount of work in it and hope you enjoy it as much as we do. The package features a booklet with a total of 18 pages, a download code and of course the CD with ten tracks. You can get it on Bandcamp and of course on our live-shows! Thanks to everyone who purchases the full SUNSHINE ACID EXPERIENCE! until then, take a ride!